Have you ever found yourself in the situation where you would listen to a client and nod at regular intervals? Or turn your head and torso to face them? Chances are that you have. 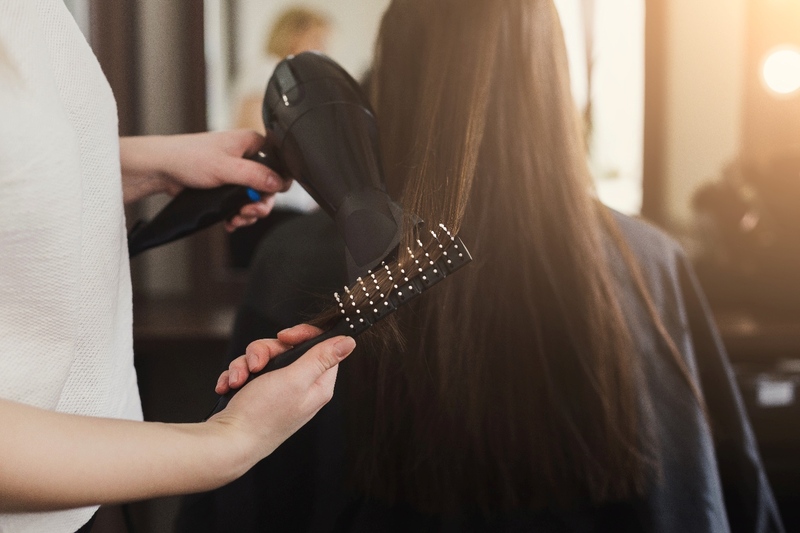 When interacting with clients at the hair salon, as well as with staff members, we use a blend of words, facial expressions, body language, and intonations of the voice. Your movements and postures speak volumes about you. Things, like crossing your arms or puckering your lips, send unconscious cues that provide information to the people around you. Non-verbal communication can have a positive or a negative effect. 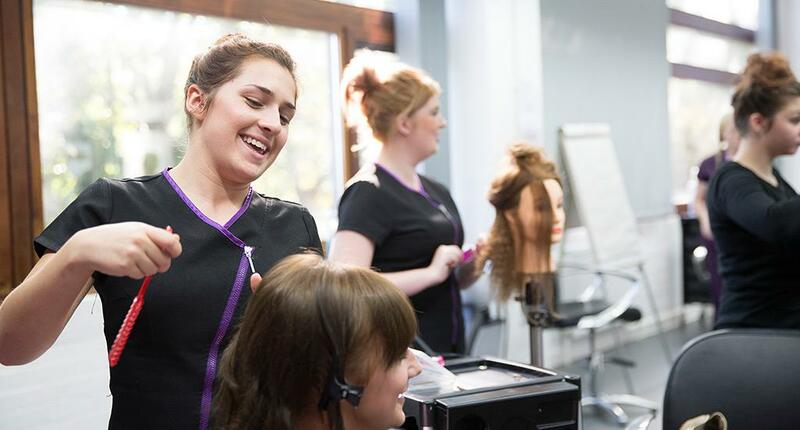 Good communication is a skill that you should have learned in beauty school, besides cutting, coloring, and styling hair. Improve your non-verbal skills and impress clients. Starting right now. When doing business, effective communication is of the essence. According to recent findings, the total impact of words is only 7 percent. The tone of voice and body language account for more than 90 percent of the overall message. This basically means that non-verbal communication is the most important element. Unfortunately, not many stylists or hair salon owners understand the importance of communication without the use of spoken language. It’s not therefore surprising that their business is struggling, while others are succeeding. The beauty industry makes it easy for us to get in touch with others and they pick up our wordless cues. Take a moment to understand how you and your staff members are presenting yourselves and greeting clients. Do you make a good impression? You should tell your clients that this transformation takes a lot of time, and if they want to dye their hair in pastels, then they will have to check with you to make sure you're available for several hours for a particular day. You will have to extract their previous color, to lighten their hair, apply a new color and cut the hair. They will have to spend at least three hours in the salon chair. More often than not, we don’t pay attention to the unconscious messages that we’re sending. If you’re like everyone else, then just like everyone else, you act as if you were at home. 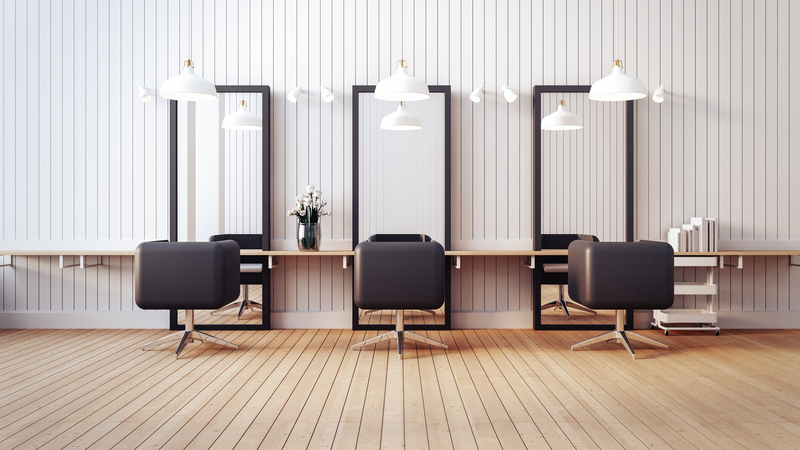 Regardless of the atmosphere in the hair salon, avoid using the same facial expressions or gestures. You’re not at home, you’re at the workplace. Non-verbal communication can affect the client experience, your relationships, and your interactions. Here are the top tips to enhance your non-verbal skills. Portray your feelings and views – Your face conveys much in terms of way of expression. An arched eyebrow says that you’re surprised. Smiling sends the message that you’re happy and pleased with the outcome. Don’t frown or make grimaces. Surprisingly, the hands are the telling most part of the body. Use your hands during conversations, especially when you’re explaining something. Learn to make eye contact – When you keep eye contact with clients, you show that you’re paying attention. Eye contact shows that you’re open and responsive to suggestions, ideas, and impressions. However, don’t make too much eye contact. Some people may view it as disrespectful. Don’t cross your arms or legs –Crossing your arms and legs may be beneficial to your comfort level, but it won’t help your business. This gesture can come off as being defensive. For some people, it’s difficult to display the correct emotions they’re feeling. So, even if you’re not sending a negative message, clients will think that you are. Pay attention to your behavior especially during consultation and appointments. 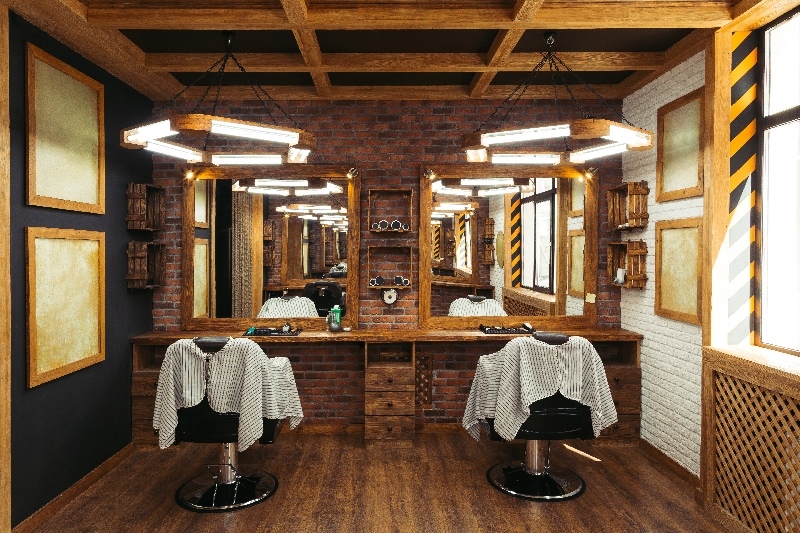 Growing your Salon - Is Blogging about your Salon a Good Idea? By accessing this web site or using any of its products or services, you are agreeing to be bound by these Terms and Conditions of Use, all applicable laws and regulations, and agree that you are responsible for compliance with any applicable local laws. If you do not agree with any of these terms, you are prohibited from using or accessing this site or using any of its products or services. The materials contained in this web site are protected by applicable copyright and trade mark law. This license shall automatically terminate if you violate any of these restrictions and may be terminated by MyCuts, LLC at any time. Upon terminating your viewing of these materials or upon the termination of this license, you must destroy any downloaded materials in your possession whether in electronic or printed format. The materials on MyCuts, LLC's web site are provided "as is". MyCuts, LLC makes no warranties, expressed or implied, and hereby disclaims and negates all other warranties, including without limitation, implied warranties or conditions of merchantability, fitness for a particular purpose, or non-infringement of intellectual property or other violation of rights. Further, MyCuts, LLC does not warrant or make any representations concerning the accuracy, likely results, or reliability of the use of the materials on its Internet web site or otherwise relating to such materials or on any sites linked to this site. In no event shall MyCuts, LLC or its suppliers be liable for any damages (including, without limitation, damages for loss of data or profit, or due to business interruption,) arising out of the use or inability to use the materials on MyCuts, LLC's Internet site, even if MyCuts, LLC or a MyCuts, LLC authorized representative has been notified orally or in writing of the possibility of such damage. Because some jurisdictions do not allow limitations on implied warranties, or limitations of liability for consequential or incidental damages, these limitations may not apply to you. The materials appearing on MyCuts, LLC's web site could include technical, typographical, or photographic errors. MyCuts, LLC does not warrant that any of the materials on its web site are accurate, complete, or current. MyCuts, LLC may make changes to the materials contained on its web site at any time without notice. MyCuts, LLC does not, however, make any commitment to update the materials. MyCuts, LLC has not reviewed all of the sites linked to its Internet web site or any of its materials and is not responsible for the contents of any such linked site. The inclusion of any link does not imply endorsement by MyCuts, LLC of the site. Use of any such linked web site is at the user's own risk. Any claim relating to MyCuts, LLC's web site shall be governed by the laws of the State of Florida without regard to its conflict of law provisions. We may collect personal identification information from Users in a variety of ways, including, but not limited to, when Users visit our site, register on the site, place an order, fill out a form, and in connection with other activities, services, features or resources we make available on our Site. Users may be asked for, as appropriate, name, email address, credit card information. Users may, however, visit our Site anonymously. We will collect personal identification information from Users only if they voluntarily submit such information to us. Users can always refuse to supply personally identification information, except that it may prevent them from engaging in certain Site related activities.